There is speculation here that former captain Younis Khan is being considered for the role of Pakistan's under-19 coach and manager. 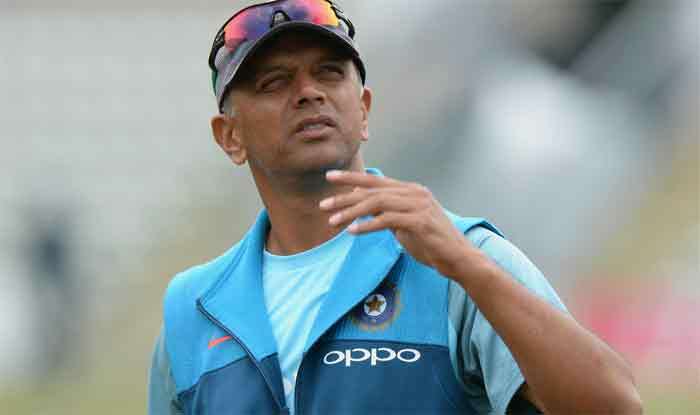 The Pakistan Cricket Board is planning to hire some former players as coaches and managers of the national age group teams, taking inspiration from the success that India has achieved with Rahul Dravid in a similar role. There is speculation here that former captain Younis Khan is being considered for the role of Pakistan’s under-19 coach and manager. Younis, who retired last year after becoming Pakistan’s highest Test run-getter and the first to reach 10,000 runs in the format, has expressed interest in coaching junior players if the board gave him “full freedom” to implement his program. “Australia utilised the services of their top players like Rodney Marsh, Allan Border and Ricky Pointing while India has also given Dravid the responsibility of manning their under-19 players and it has produced good results,” PCB Chairman Ehsan Mani said. Dravid has been coach of the Indian under-19 and A teams and has drawn a ot of credit for shaping the youngsters. Under his tutelage, the under-19 team won the ICC World Cup last year. In Australia, Border has served as a selector and Ponting is currently part of the national team’s coaching staff. The PCB, on the other hand, has constantly changed the coaches and managers of the under-19 squad, something that has been blamed for its below-par performances. It has also avoided appointing high profile former players as coaches/managers of the youth teams. Mani, while speaking to the media in Lahore, said that the board has finally decided to utilise the services of its former senior players to work with the youth. “We also need to have classes for our players as they go on to become ambassadors for the country. They will be given grooming and education at the National Cricket Academy,” Mani said. “We should have attached our own coaches with foreign coaches just like India did so that they could have also learnt a lot more.” The PCB is also considering appointing former Test captain Muhammad Yousuf as the batting coach at its National Cricket Academy in Lahore.